Blocked and overflowing urinals, toilets, sinks or showers can cause major disruption and inconvenience to your workforce, not to mention the awful smells which can to permeate throughout the building. 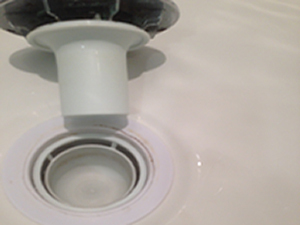 Aquablast Services Ltd provides a quick and efficient service to rectify any blockages you may be experiencing. We pride ourselves on a same day response wherever possible. Aquablast Services Ltd are Specialists in Repairing Blocked or Collapsed Drains, Drain Clearance, Burst Water Pipe Repair, Leaks and Spillages. We have been established in Bury for over 20 years and have built up a broad customer base to which we offer a unique /specialist service in and around the Drainage, Water, Wastewater and Sewerage Industry. Our experienced and skilled team offer a reliable, quality service across the Northwest. Our Coverage areas include Greater Manchester incorporating Bolton, Bury, Oldham, Rochdale and Wigan. We also cover Lancashire (Blackburn, Burnley, Preston, Rossendale) Yorkshire and Cheshire Areas.